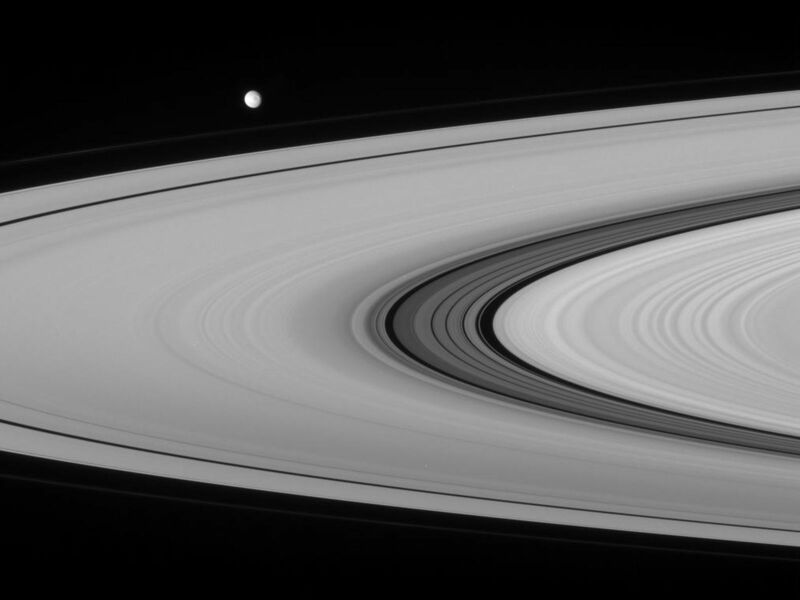 Having recently rounded the ansa, or outer edge of the rings, Mimas heads off toward right. This view from the Cassini spacecraft provides a crisp look at the fine material and detailed structure in the Cassini Division that is not readily visible from the Earth. 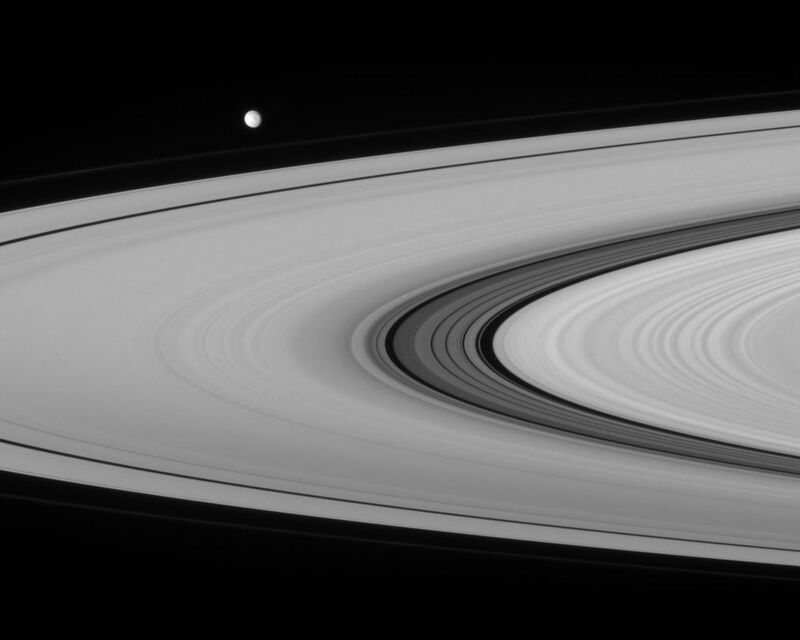 The faint F ring, just visible between Mimas and the A ring, bounds the main rings of Saturn. Mimas is 397 kilometers (247 miles) across. 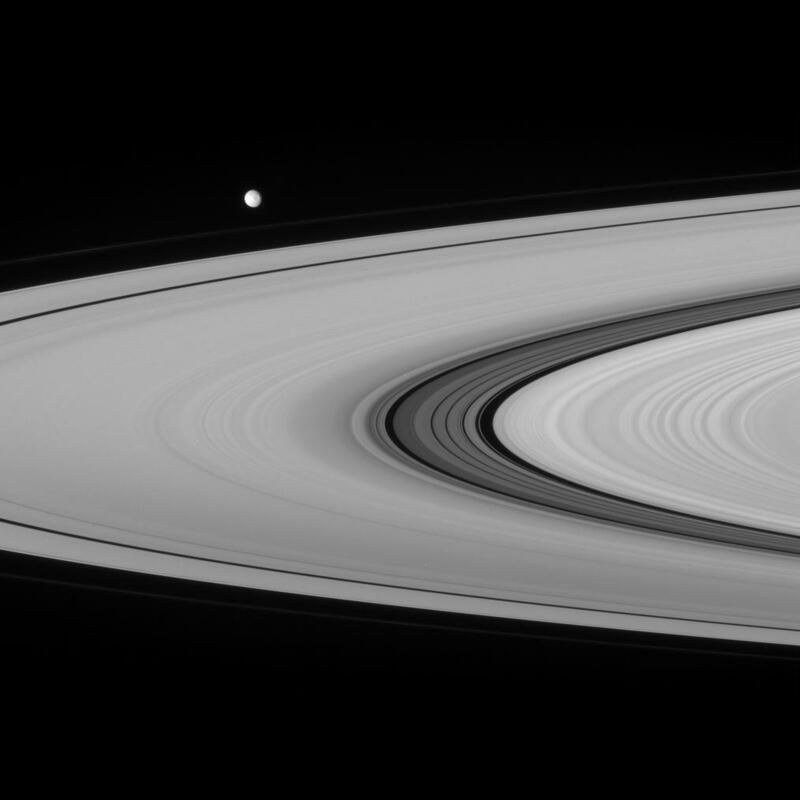 This view looks toward the sunlit side of the rings from about 4 degrees below the ringplane. The image was taken in visible green light with the Cassini spacecraft narrow-angle camera on Sept. 7, 2007. 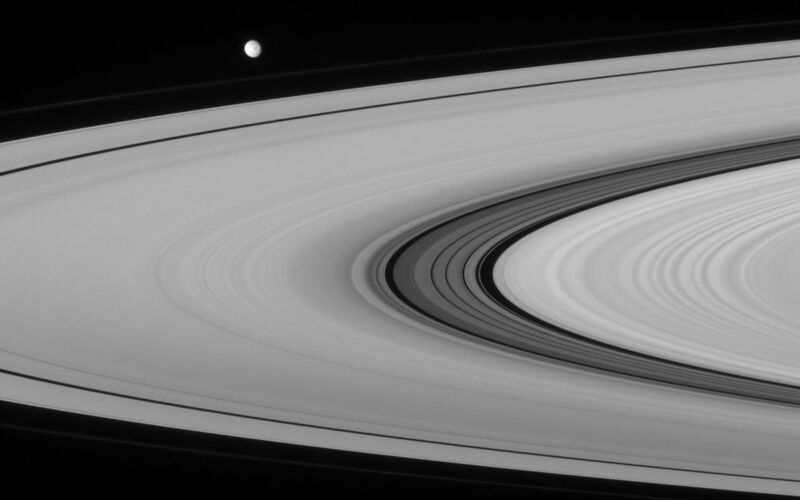 The view was acquired at a distance of approximately 2.9 million kilometers (1.8 million miles) from Saturn. Image scale is 18 kilometers (11 miles) per pixel on Mimas.